While waking transects and looking for rare plants in the dusty Mojave Desert of 2013, I had much time to consider vastness, appropriateness and tenacity. Notably, it was hot, dry, and teetering on spiritual (which isn’t always a good thing when rattlesnakes abound). The desert is nothing if it is not tenacious. It is an acerbic beast even in it’s kindest moments. Blowing sand, regular temperatures in the hundreds from April through October (in the sun that is). Humbling, and even bending or distorting the idea of life just a bit, since the desert’s signature is withering brown plant skeletons, dry playas and spines. Dessication, opportunity and impermanence are its soul. It is a tribute to both eternal things and the ephemeral. Within that sea, there are pauses of vibrance and life. So I wanted to take a moment and reread the news. 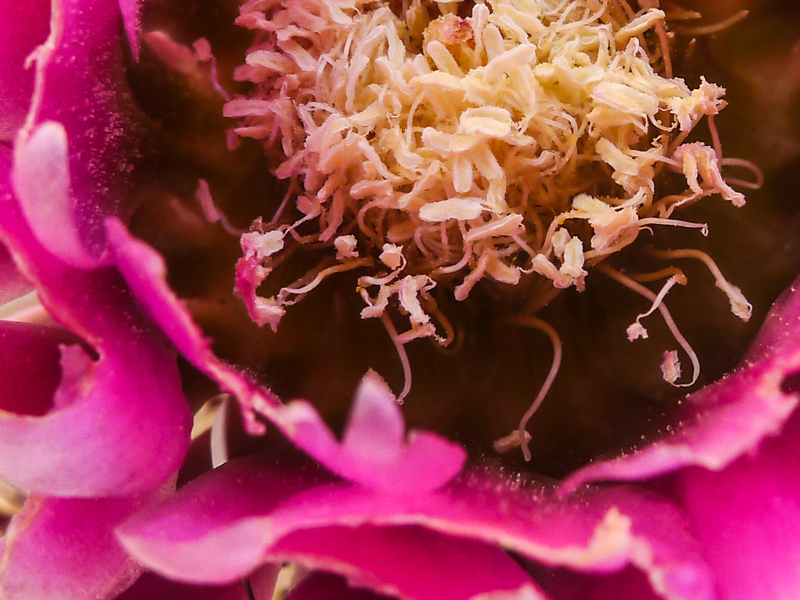 2013 has been a banner year for Joshua tree blooms. The only problem is that banner year for reproduction usually means a decline in the vegetative growth and virility. Especially in perennial plants in a dry year. So are our famed Joshua Trees fading in earnest? We can only guess and predict. But one thing is for certain, once we really do get a good grasp on the decline, it may be too late. So why not be proactive and reduce groundwater pumping permits and reduce water withdrawal? If our most hardy of plants growing in the most extreme conditions are perishing then we do have great reason to fear that more stress and hardship will soon be knocking on our own doors. We can act and learn to keep the desert alive by keeping the water in the deserts… in the earth. Here’s a grassroots group located in Owens Valley putting up a fight for arid ecosystems. 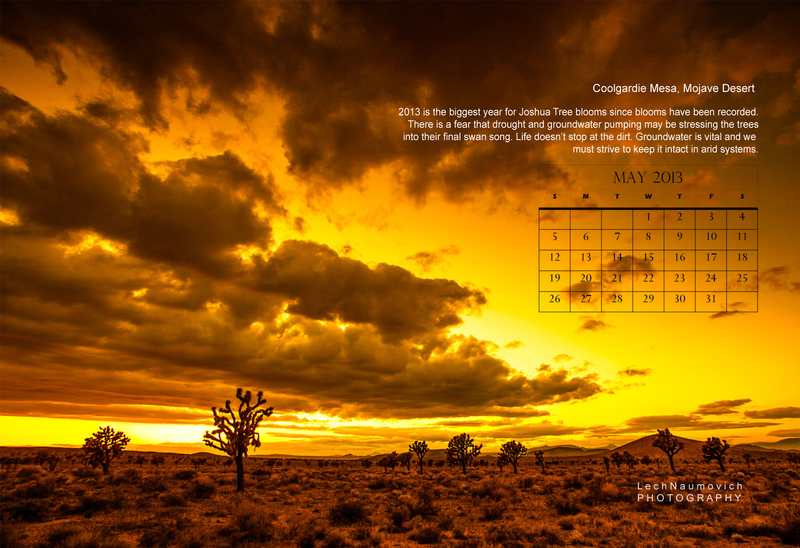 Here’s my desktop calendar May – free for all who want to use it as a calendar.